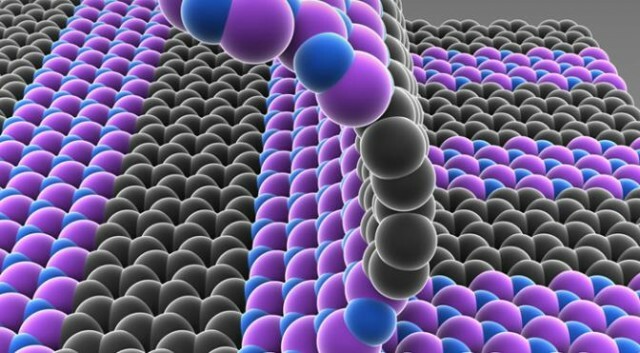 A new material made from a single layer of tin atoms could make history by becoming the world's first electrical conductor to work at 100% efficiency. This would make it even more conductive than 'wonder material' graphene. The material has not been created but has been named "stanene", a combination of the Latin word for tin (stannum ) and the suffix found in the word graphene. Stanene was discovered by researchers from the US department of energy's SLAC National Accelerator Laboratory and Stanford University and could revolutionize computing by replacing copper wires used in computer chips. "Stanene could increase the speed and lower the power needs of future generations of computer chips, if our prediction is confirmed by experiments that are underway in several labs around the world," Shoucheng Zhang, a physics professor at Stanford and a team leader on the project, said. How could stanene help make faster computers? Until now, we've relied on copper to relay electricity in various forms, and for good reason. As well as being cheap and ductile (this means it can be easily drawn into strips) copper is also very conductive. However, modern computer chips deploy the metal on a scale that would be unimaginable to past generations. In a modern chip, an area the size of your thumbnail can have up to 96km of copper wiring, with some of the strands just atoms thick. At this point, scientists are pushing the limits of the material, channelling so much electricity through it that the material's electrical resistance causes the wires to heat, potentially setting it on fire. If stanene fulfils on scientists' promises then chips could get smaller and faster without running this risk of overheating. Stanene is what is known as a 'topological insulator', meaning its interior is an insulator but it conducts electrons along its surface. By making the material only a single atom thick, the stanene is essentially all surface, allowing it to conduct electricity with 100% efficiency. "The magic of topological insulators is that by their very nature, they force electrons to move in defined lanes without any speed limit," said Zhang. "As long as they're on the freeway — the surfaces — the electrons will travel without resistance." By adding fluorine atoms to the mix, the scientist claim they can retain this level of efficiency at temperatures of up to 100 degrees celsius, allowing the material to be used in computers, where processors typically run at temperatures of between 40 and 90 degrees celsius. However, there are many obstacles standing between stanene and mainstream use and without working samples of the material available it is perhaps a little early to get excited.